UNESCO World Heritage Centre Quebrada de Humahuaca in Jujuy can now add Geographical Indication (indicación geográfica, IG) to its accolades. Quebrada de Humahuaca in Jujuy, Argentina. Thus named by Argentina’s INV vitiviniculture institute in October, the Quebrada is a 170-km canyon that runs north south in Argentina’s northwest province that borders Bolivia. Not only is the new status remarkable due to its 23°26′14.0″ latitude (Mendoza’s vineyards are planted at around 33º, more or less), but also because of the insane range in altitude. Starting at 1,230 metres above sea level (masl), this new UNESCO-protected GI soars to 3,700 masl. It’s also classified as desert, thanks to its piddly 150mm annual rainfall. 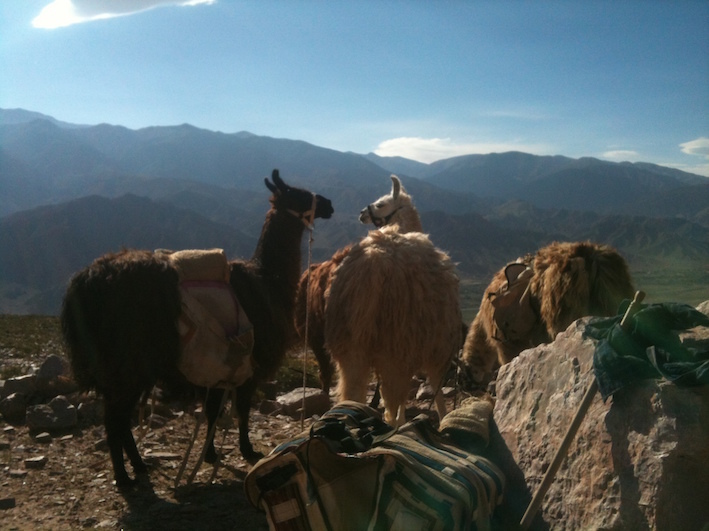 The Inca trail runs through here; llamas also call it home. Don’t be a-llama-ed, I’m just taking your photo, amigos. I’ve travelled this area extensively for guide book research and it’s one of Argentina’s most exciting to visit. Rich in history and culture, dusty yet vibrant towns such as Purmamarca, Tilcara and Humahuaca date back to pre-Columbian times; they don’t exactly smack of classic vineyard terroir. Driving alongside Río Grande, which brims with racing currents in summer, the landscape is craggy rock formations and cardon cacti. Four years ago, I visited Bodega Fernando Dupont near Maimará, only accessible when the river is low (so not in summer). The air was pure, the sky a perfect cornflower, the Malbec and Cabernet Sauvignon vines accompanied by towering cacti. At 2,335 masl within the shadow of Mt. Paleta del Pintor, nature’s purity makes this a very special place to grow grapes. And with four wines made by Marcos Etchart’s expert hand, the winery is producing some special vintages including my favourite rosé in the world ever (see below). I can’t find my pix from this trip. Sad face. In 2014, I stayed at Hotel Huacalera, on the Tropic of Capricorn. I awoke to llamas in the garden and curious clouds sticking to Río Grande. And it’s on this crazy latitude that Calchaquí Valley’s Bodega Tukma is sourcing badass grapes that grow at 2,670 masl to create Argentina’s most unusual Sauvignon Blanc. Here are two of my fave Jujuy wines, that now get to add GI Quebrada de Humahuaca to their labels. 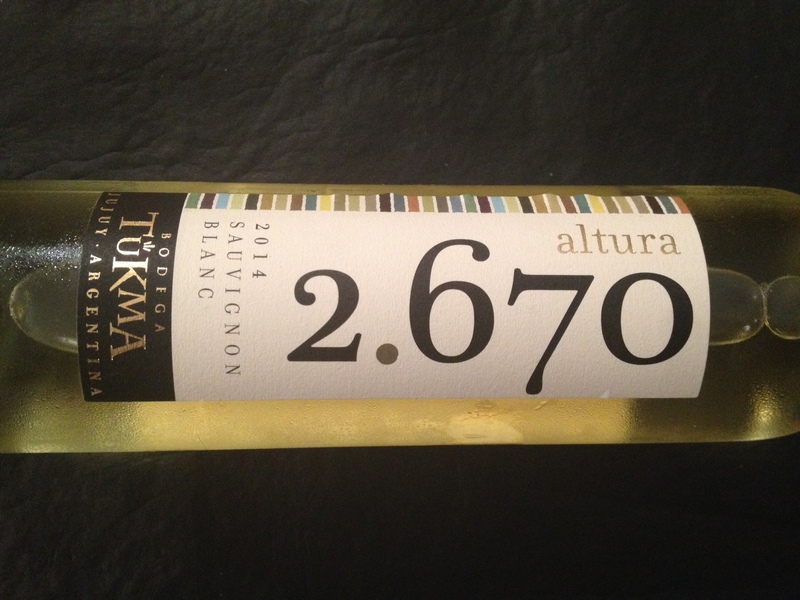 2.670, Sauvignon Blanc 2014, Bodega Tukma, Huacalera, IG Quebrada de Humahuaca, Jujuy. 13.5%. 120 pesos. Serve at 10ºC-12ºC. This 500ml baby got me high in an altitude way of course, when I tried it one steamy summer afternoon in Cafayate last February. It’s pure green: peas, green bell pepper and asparagus make up the nose. A savoury mouthful awaits, badass acidity balances it out. I love this wine. I love its originality, so unlike the tropical or citrus SB in Argentina. Production is small, hence the 500ml bottle. 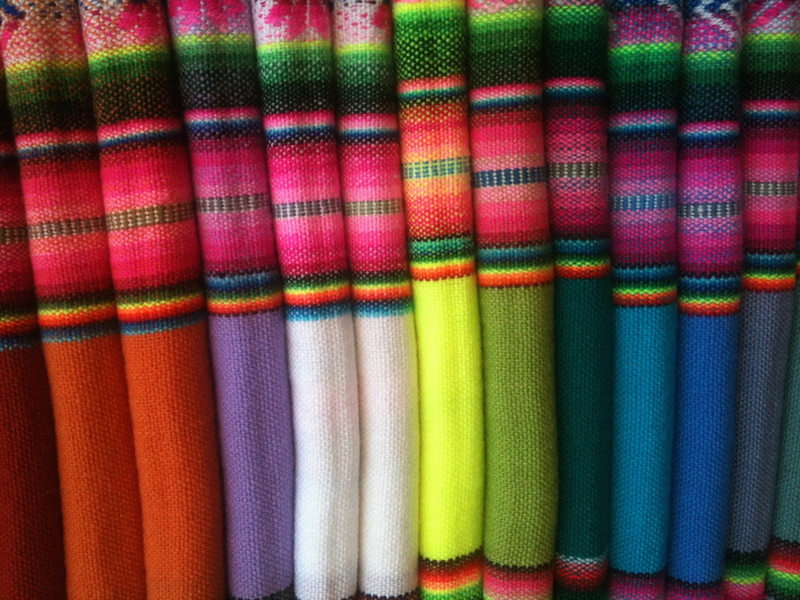 And I love the fact it comes from a place as curious as Huacalera in Jujuy, from 2,670 masl. Now that’s high altitude. Try it with a goat’s cheese and arugula salad. Rosa de Maimará 2014, Bodega Fernando Dupont, Maimará, IG Quebrada de Humahuaca, Jujuy. 15.8%, 179 pesos. Serve at 10ºC-12ºC. “Rosé’s for girls, right? Wrong,” I recently wrote for the next edition of Time Out Buenos Aires. This is the most macho pink wine you’ll ever have the pleasure of drinking. And it does nothing by halves. It’s a blend made from Cabernet Sauvignon and Syrah. Its alcohol is a whopping 15.8% (thanks, sunshine and altitude). It’s fruit and smoke and flowers all together, a wonderful and crazy combination that will get you in a tizz. Exceptional. Enjoy it, just the two of you. Or pair almost anything with it, especially a man-size bife de chorizo. Swoon. Nice note, except you left one great winery out: Viñas Perchel. It’s right next to the tropic of Capricorn there in Huacalera. The wine is a bit harsh, but you can TASTE the work that the owners have put into their wine. Also, those llamas that you saw in the Huacalera Hotel are NOT from the area. They most likely brought them down from Las Cruces or Abra Pampa. My family has owned a house across the street from the hotel since 1993 and I’ve never ever ever seen a llama in the area. 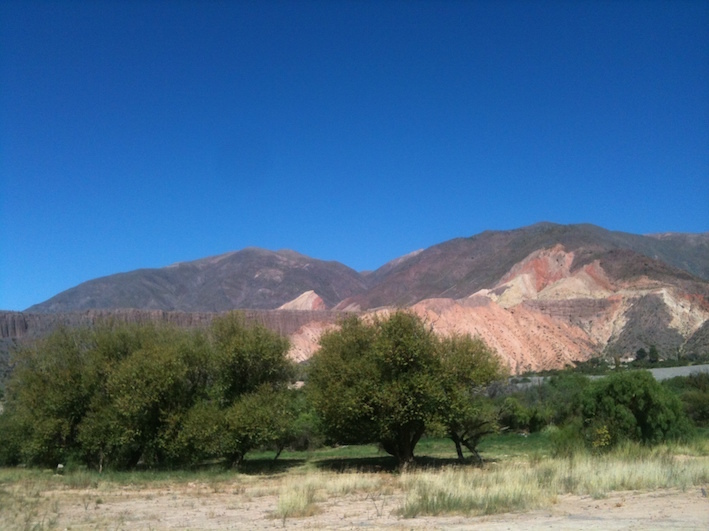 I’ve even hiked over the mountains into the surrounding valleys and haven’t seen any llamas (an ocasional vicuña yes). Anyway…nitpicking I guess. Thanks for that, Joshua D. As I haven’t visited Viñas Perchel or tried their wines, I prefer not to write about it.